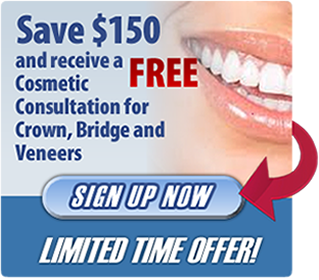 Of the many treatments laser dentistry can offer, laser fillings is the one of the most prominent. In these new treatments a dental laser is used instead of a drill to remove decay before a filling is placed in the tooth. The greatest benefit of laser fillings is that needles and drills are usually not required! This means no more high-pitched drilling noises and no more numb lips. 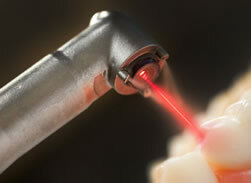 Occasionally, a laser dentist will need to use a drill – for instance to remove amalgam. Also, a needle may sometimes be necessary for some patients, especially those with highly sensitive teeth. However, because lasers are effective in reducing sensitivity, those with sensitive teeth will benefit from reduced sensitivity after the filling. Apart from the main benefits of laser dentistry – less time in the chair, fewer visits, fewer needles, less discomfort – your visit will be much the same as before. Depending on the type of laser being used, there will be a quiet beep or ticking sound when the laser is operating. 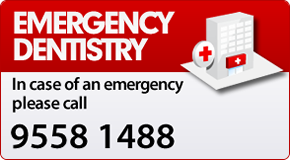 You might feel a water spray or air spray – much the same as a normal visit. The reason that lasers are ideal for fillings is that they selectively target and remove the decay. Lasers are more accurate at drilling teeth than conventional drills. They remove the minimum amount of tooth necessary to perform the filling. Conventional drilling can cause tiny cracks in the tooth – these do not occur with lasers. Laser fillings take about the same amount of time as a normal filling. If you require multiple fillings, the laser will actually reduce the amount of time you spend in the dental chair. And unlike conventional filings, laser fillings can be done in all parts of the mouth during one visit.